Manjuyod Sandbar is probably one of the most beautiful natural wonders that every traveler must include in their list of sights to see in the Philippines. 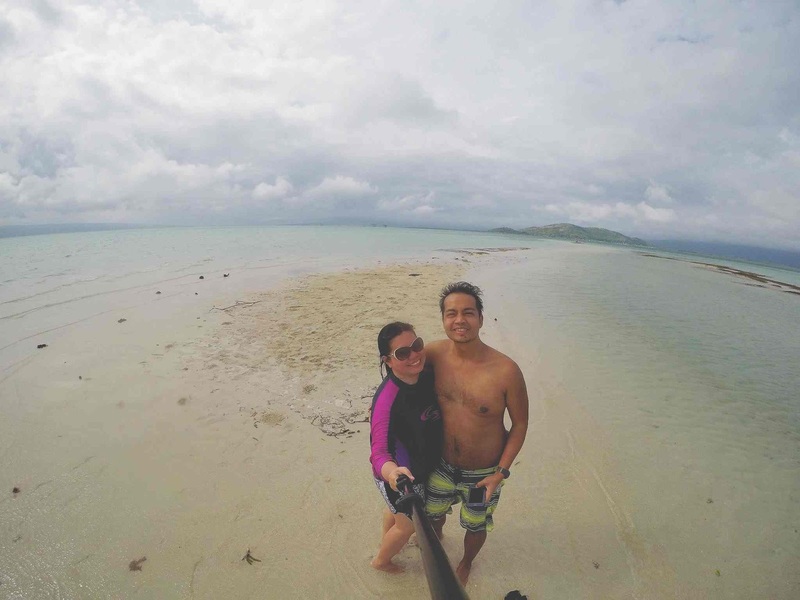 Ynah and I have been to Manjuyod Sandbar once about two years ago and we were completely enthralled by the whole experience of being in this wondrous white sandbar. 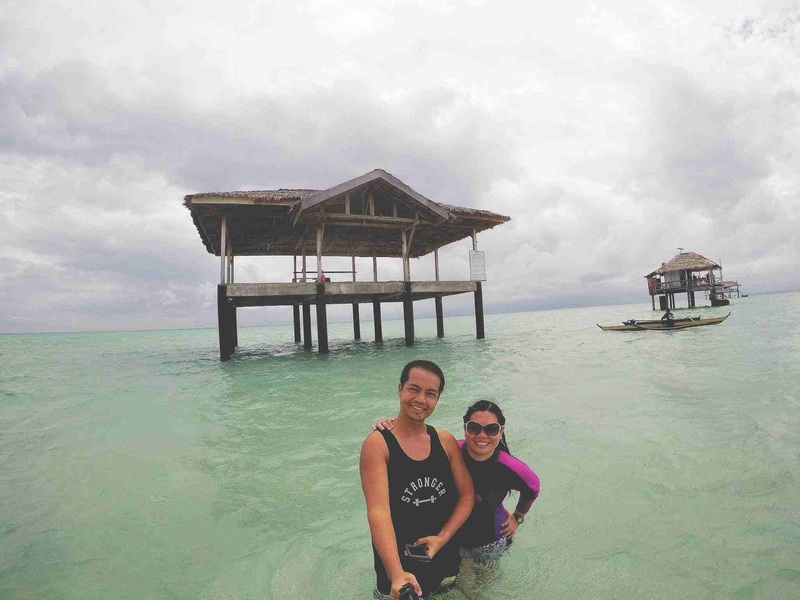 Actually, we were not lucky to have had the chance to see Manjuyod Sandbar in its full glory because the tide did not fully recede to reveal the entire seven kilometer stretch of the white sand. Still, there were portions of Manjuyod Sandbar that was exposed and that was enough for us to appreciate its beauty even if it was hidden from us. 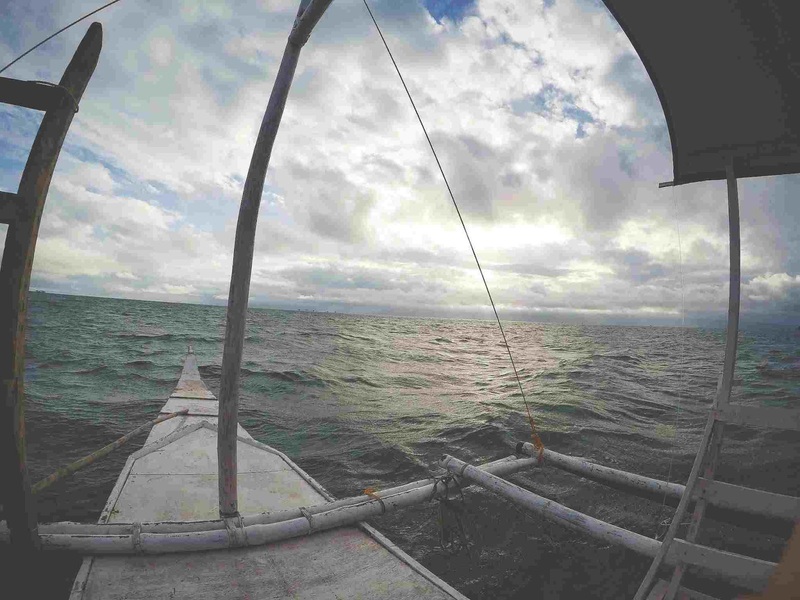 Because of that, not an hour after leaving Manjuyod Sandbar, we promised that we would be back to this seemingly magical. 2019 is the year that we hoped to be back to Manjuyod Sandbar. However, with Miguel arriving in 2018 and turning one year old just last January, we had to postpone our plans. Manjuyod Sandbar is located off the coast of North Bais Bay, as such, the most popular take off point is from Bais City. 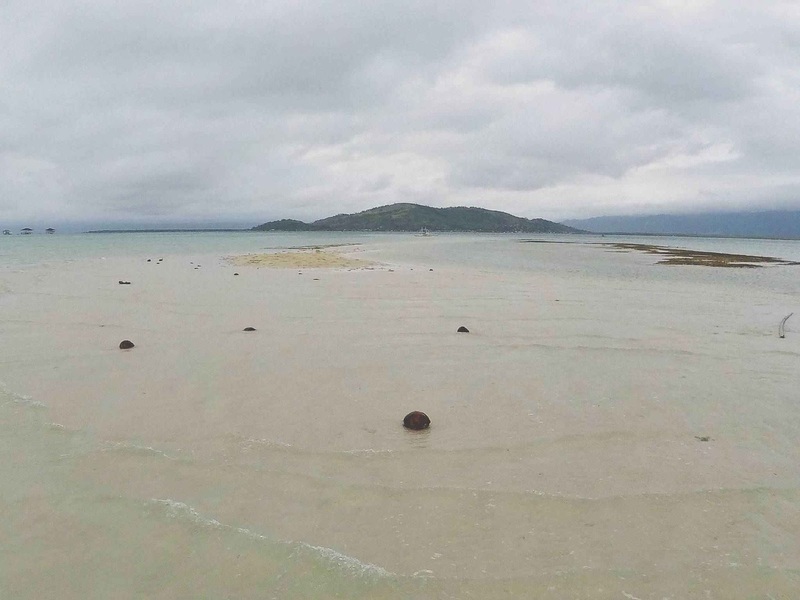 This led many people to believe that Manjuyod Sandbar is under the territory of Bais City. 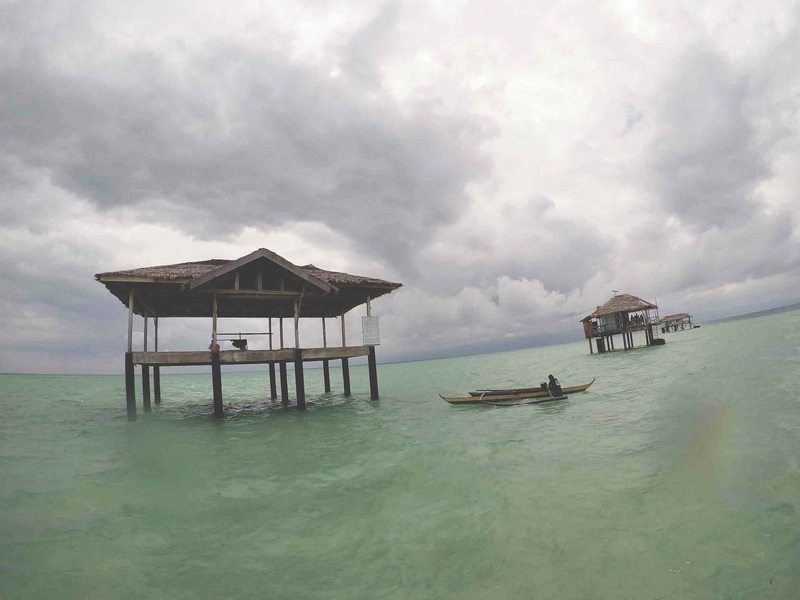 However, don’t be confused because the sandbar is under the jurisdiction of the town of Manjuyod. Reaching Manjuyod Sandbar is easy. From Dumaguete City, get on a Ceres bus going to Manjuyod town. 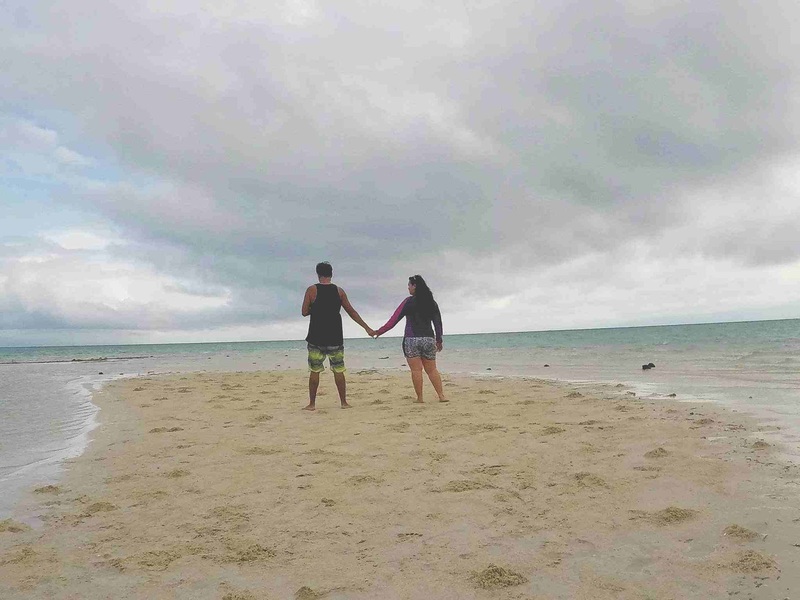 Most tour operators recommend catching the first trip of Ceres bus which is at 5:00 AM so that you can catch the morning low tide at Manjuyod Sandbar which is around 7:00 AM to 9:00 AM. If you miss the morning low tide, the next best time to go here would be at around 4:00 PM to 6:00 PM. Note, however as what we have experienced, there is no guarantee that you will be able to see Manjuyod Sandbar even during low tide. You may ask the bus driver to alert you once you are at Bais City. The bus ride from Dumaguete City to Bais City is around one and a half hours. In Bais City, the bus would make a stop at a loading and unloading shed where you may get off. There is a police outpost near this shed so this may serve as your landmark. Additionally, most locals are used to tourists alighting here so they would be happy to assist you should you have any questions regarding directions and hotels, or if you need a tricycle ride. From Bais City, ride a tricycle to Capiñahan Wharf. At Capiñahan Wharf, you may hire a boat to take you to Manjuyod Sandbar. To save on cost, you may opt to join a group going to the sandbar. 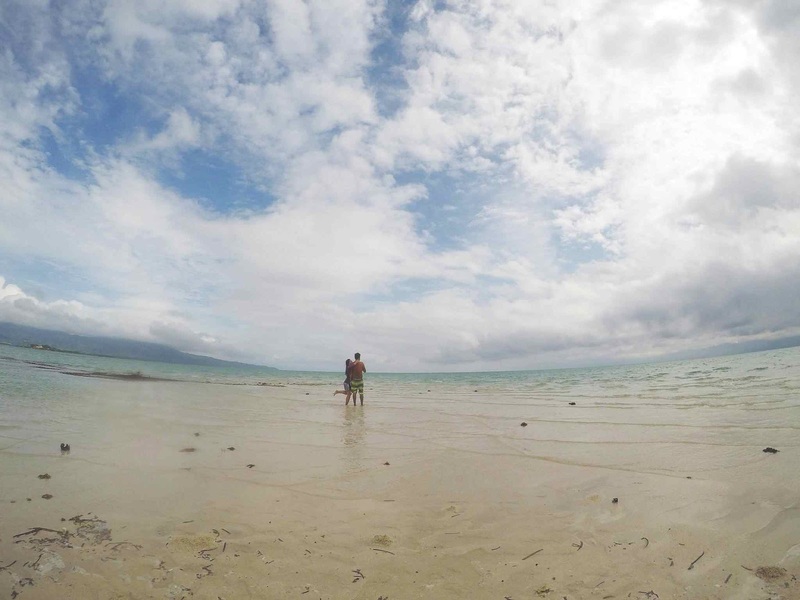 Once you are at Manjuyod Sandbar, you may swim and snorkel along the beach. In case you go hungry, there are boatsmen offering fresh seafood that they can grill for you. If you are looking for more activities to try, the most popular ones are island-hopping and/or dolphin and whale watching. 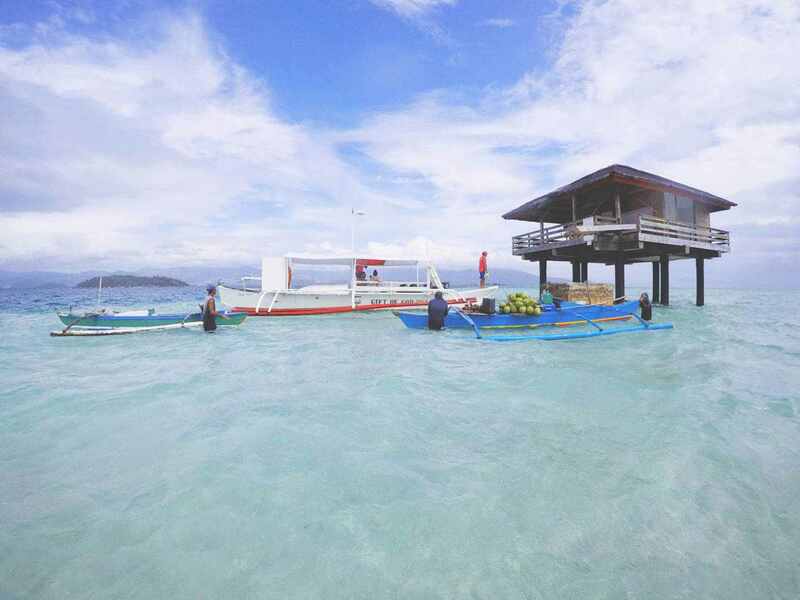 Do you know that you can spend the night at Manjuyod Sandbar? The cottages on the island are for rent. If you are interested, you may arrange for it at the tourism office. La Planta Hotel is one of the historic landmarks in Bais city in that it used to be a power plant. Now, it is a 17-room hotel offering amenities such as 24-hour room service, free Wi-Fi in all rooms, 24-hour front desk, express check-in/check-out, and luggage storage, just to name a few. If you are looking for an accommodation with a homey vibe, then Casa Sandoval Pension House and Restaurant might be for you. It’s a residential house that has been converted to a pension house. Casa Sandoval Pension House and Restaurant’s location in the city center also makes it ideal for travelers who would like to explore Bais City. If you are looking for an affordable accommodation in Bais City, you might want to consider Velez Pensionne House. It is also conveniently located near the bus stop, public market, and main plaza. When you are here, do take the opportunity to check out the night market in Bais City. You may already want to arrange for your Manjuyod Sandbar trip in advance. You may get in touch with a reliable tour operator for details. 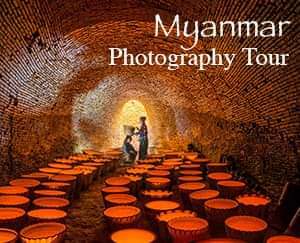 The tour package usually includes transfer to and from Bais City and a boat ride. When we went to Manjuyod Sandbar in 2017, we availed of our tour from Kuya Hadji (09774208051 and 09995226152, starts at Php1,700 for 2pax). Bring food with you as there are no stores in Manjuyod Sandbar. If you opt to spend the night in a cottage in Manjuyod Sandbar, bring a big supply of food and water and power banks for your phones. Be a responsible traveler: do not leave trash anywhere. If you need more information regarding your trip, on how to book for an overnight accommodation (including rates) at Manjuyod Sandbar, or to check for accredited tour operators, you may get in touch with the Manjuyod Tourism office via +639194882950 (mobile phone), (035)4041136 (landline), or manjuyodtourismoffice@yahoo.com.ph (email). You may also contact the Bais Tourism Office for similar concerns at +639173005945/+639182650474/+63907 258 5751 (mobile phone), (035) 402 8338 (landline), or baistourism@gmail.com (email).